Sometimes we get so caught up in granular, event-specific issues that we fail to account for all the non-event-specific stuff that makes effective event planning possible. If you’re putting together an event management toolbox, event-specific tools are of course important. But just as important are the general business tools that help keep your team productive and communicative. The right mix of tools – both general and event-specific – is critical for event success. At EventNut and our sister companies, we’ve experimented with a lot of different event management tools. Below, we’ve listed the ones that have provided the best mix of affordability, effectiveness, and ease of use. You’re most likely familiar with a few of them. Others may be new to you. Either way, we hope you find something useful in the list of tools below. Each one of them can help you more reliably achieve event success. When you’re part of an overburdened event team working on tight deadlines, effective project management is essential. Using the right collaborative project management tool can help you run a tight, efficient ship. The challenge in finding the right project management tool is finding one that hits a “sweet spot” between ease-of-use (the tool won’t work if your team doesn’t use it), and depth of functionality (the tool can’t be so simple that it doesn’t add value). 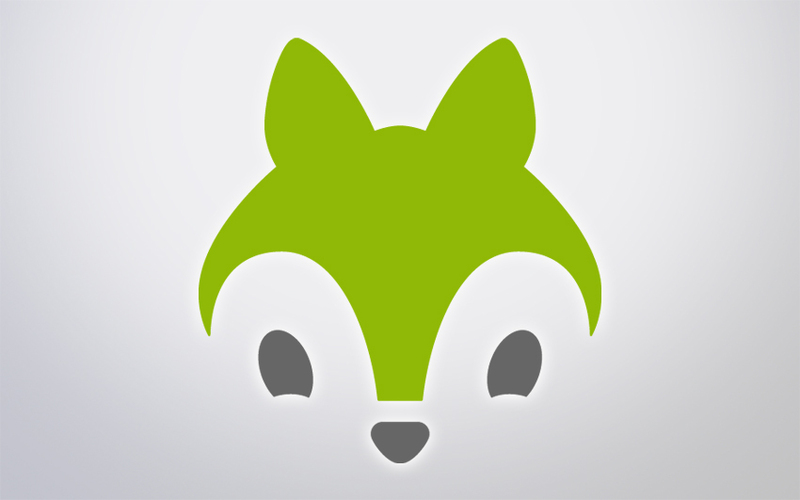 We’ve tried a bunch of different collaborative project management tools. 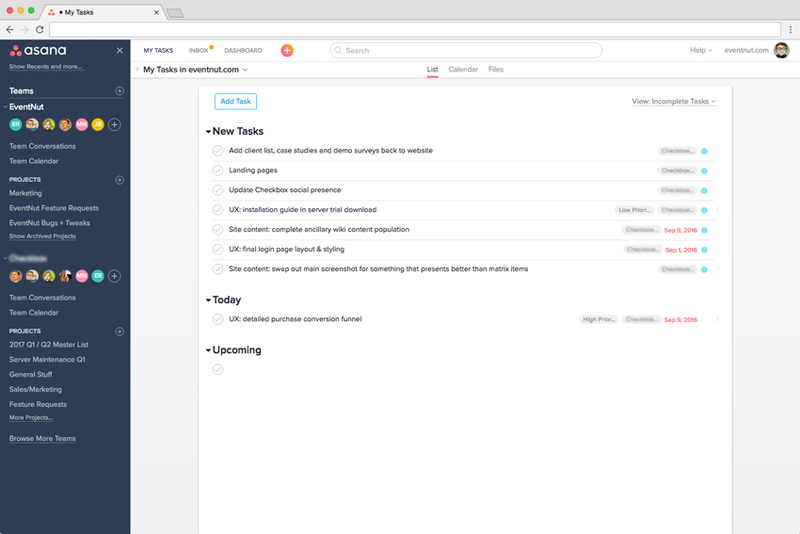 Asana hits that elusive sweet spot perfectly. 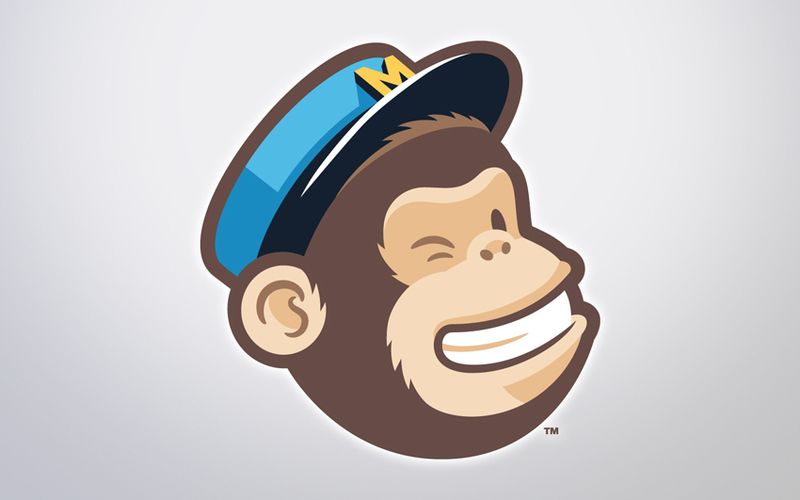 Slack, the team-based messaging app, has almost completely replaced email here at EventNut. Slack’s mission is to make our working lives simpler, more pleasant, and more productive. They’ve certainly done that in the EventNut offices. Slack is less formal and more collaborative than email, with better features for document sharing, threaded chat, and message archiving. We think it’s as transformative as email itself was back in the early 1990’s. Coordinating group travel for your team can be a logistical nightmare. That’s why we’re such big fans of our Boston-area neighbor Groupize. 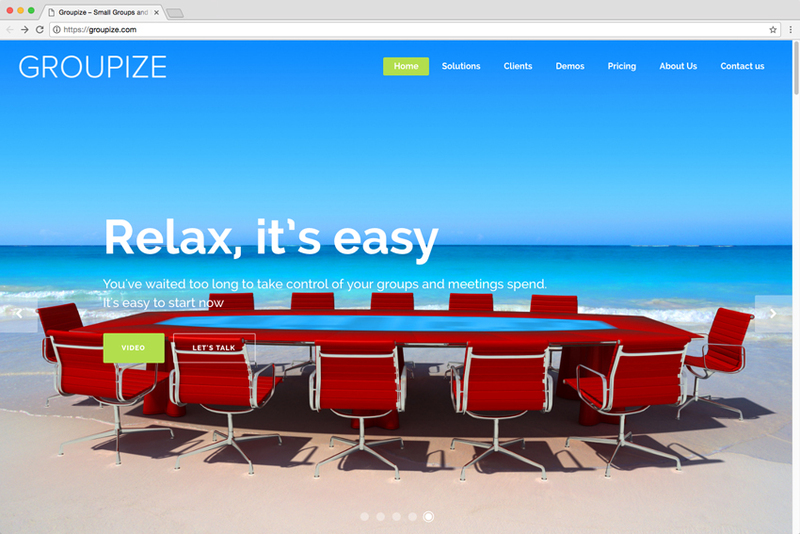 Groupize dramatically reduces the complexity of group travel management. It’s loaded with useful tools that’ll help save you money. And with Groupize’s travel analytics features, you’ll learn more details about your true group travel needs with every trip you plan. At this point, you don’t need us to tell you about the benefits of using a ride-sharing service. In recent years, ride-sharing companies have transformed the way we get around town. You might not know, however, about the event partnership programs these services offer. 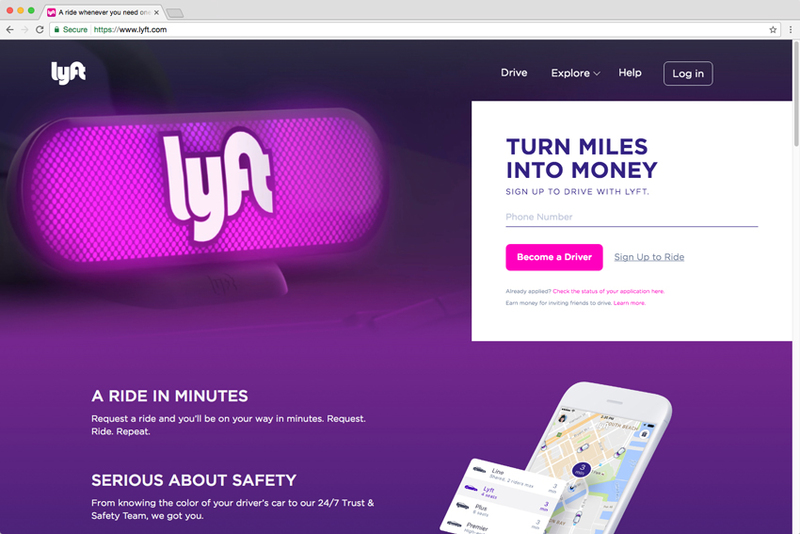 Partner with a service like Lyft to offer attendees free or low-cost rides to your venue. It’s a great enhancement to your attendee experience, one that will help drive referrals and repeat business down the line. Even if you’re not selling tickets to your event on-site, something is bound to come up that requires you to accept a credit card. Square makes that really easy to do. 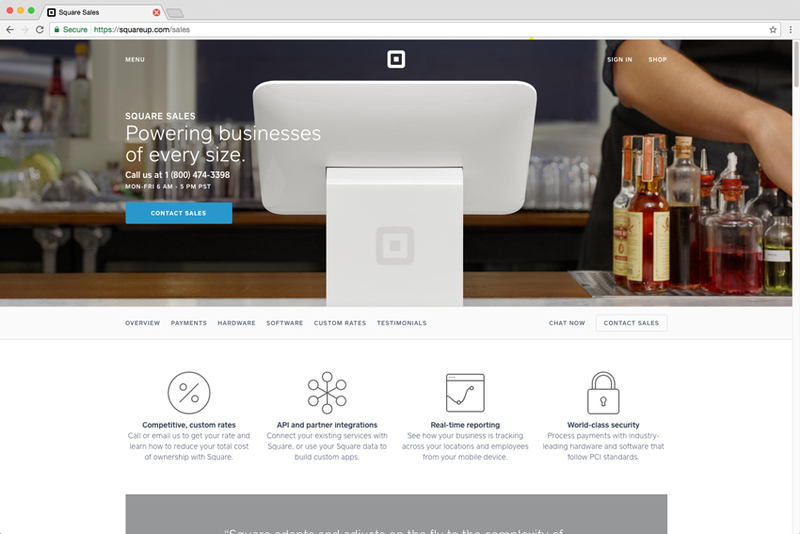 Every business should have a Square account. If your organization doesn’t have one, go get one now. Take it from us: a day will come when you’ll be glad you did. Attendees appreciate it when it’s easy to figure out (or remind themselves about) what’s happening where and when at your event. You need to alert attendees about agenda updates or other unexpected changes in your event experience. Using digital signage throughout your event can help you do that. All you need is a tool to help you manage signage logistics. We recommend Yodeck. 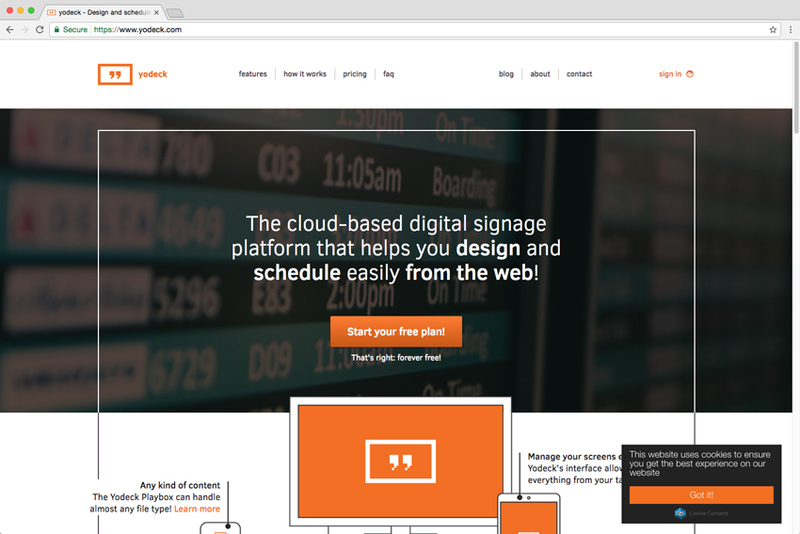 It’s a great tool that makes managing your event’s digital signage really easy. We’re big believers in the importance of live streaming your events, especially now that live streaming has gotten so much cheaper and easier to do. Live streaming used to be a complicated and expensive project to take on. Those days are gone. 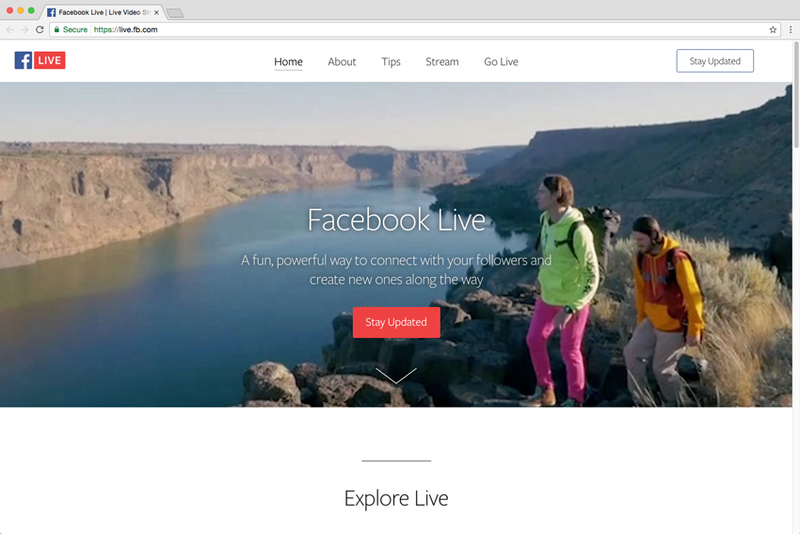 Today, tools like Facebook Live are completely free, and they’re really easy to use. If you can capture audio/video content from your event, you can make it available on the web. And as we’ve learned firsthand, live streaming will pay big dividends down the line. As we’ve noted, reaching out for attendee feedback is one of the first things you should do after your event. To do it well, you’re going to need dedicated survey software. Lots of survey software options are out there, from the very, very basic to the extraordinarily complex. And just like with project management software, you’re looking for a “sweet spot” that balances functionality with ease-of-use. 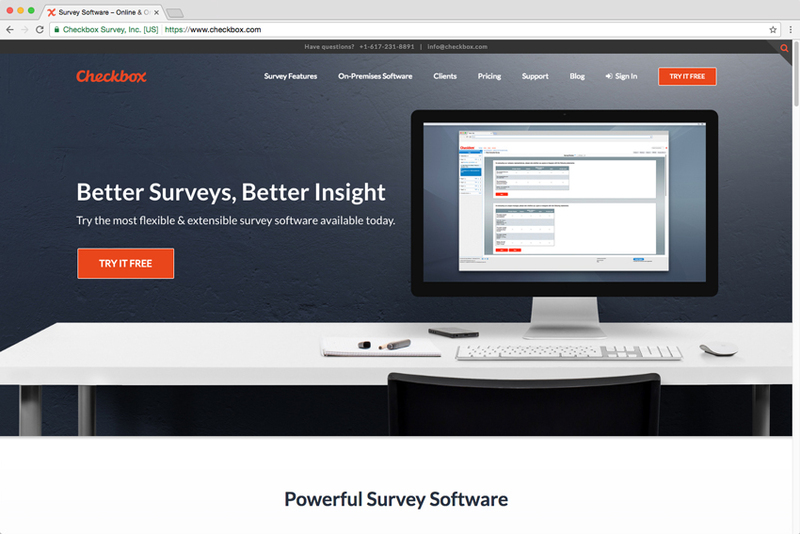 Our sister company Checkbox produces some of the most balanced survey software we’ve seen. It’s affordable and really easy to use, and it has the flexibility and depth of features that make it easy to expand and grow as your survey needs evolve. On the other end of the spectrum, there are plenty of simple tools that let you build a standalone online registration page. Use one of these and you’re on your own when it comes to publishing the promotional info, speaker bios, agenda details, venue information, and custom social feeds your event really needs. Shameless promotion part 2. You can’t host an event without processing registrations, and in some cases, without selling tickets. Software that helps you do this is readily available, lots of it. We know we have a lot of competition in the registration and ticketing space. We also know that our simple, customizable tools for processing registrations and selling tickets are among the best available. They work seamlessly with our industry-leading event website builder as well.